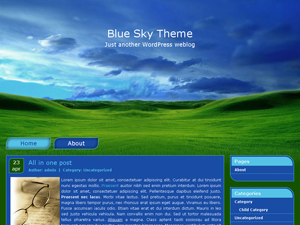 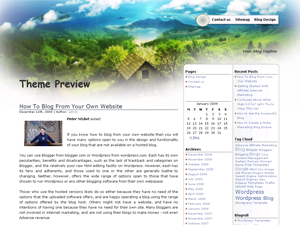 Eco Blog wordpress theme is a nice, clean wp design. 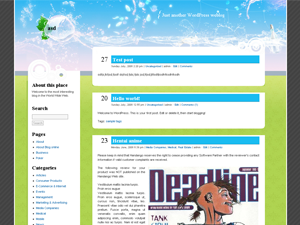 The header image features splashing clear water on a baby blue background. 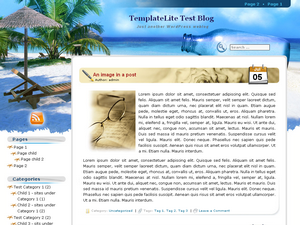 There is a message bottle in the water and what appears to be some mint leaves. 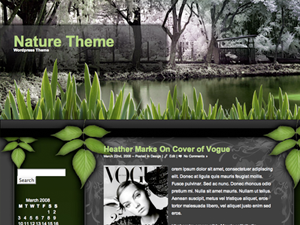 Main background is stripped gray while the inner frame background is green. 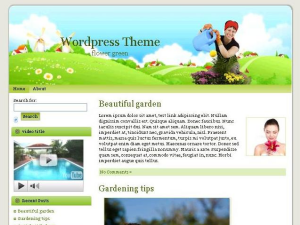 This is a 2 column WP template with sidebar placed on the left side. 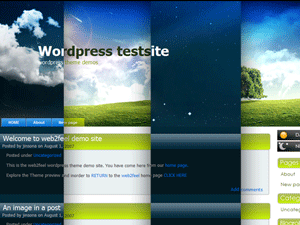 The sidebar is wordpress widgets compliant (remember to enable widgets in your blog’s admin area – under Appearance tab). 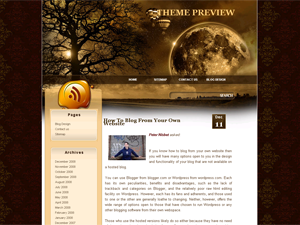 The main content area and the sidebar are both white. 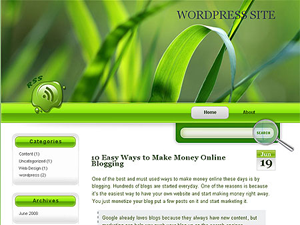 Eco Blog wordpress template was designed by Sabiostar and is best suitable for enviroment, health or nature related blog.